Puppy and Kitten Vaccines! (and just a tiny bit of immunology because we’re medical nerds) | Frontier Veterinary Hospital, P.C. Why do puppies and kittens need vaccines? The immune system is a complex and wonderful way to fight off invading viruses and bacteria. Antibodies are a part of the immune system that changes, adapts, and essentially learns. So when a puppy or kitten is born their immune system hasn’t LEARNED anything yet, and the vaccines help to stimulate the immune system to make antibodies to particular diseases. This way if they encounter that pathogen again, like Parvovirus, the immune system already knows that it’s bad and has the recipe to make and produce a bunch of the right antibodies to fight it off right away. A vaccine essentially tries to mimic a viral infection in a way that the body responds with a stimulated immune response that is as strong as it would be against a natural infection, but to skip the actual illness part. In a “Killed” vaccine, dead virus is used so that it can’t replicate or cause disease, but all the bits are there to stimulate the immune system so it can recognize it later. Sometimes the immune system doesn’t react very strongly to these since the virus is dead and may not be much of a threat or stimulus. “Live” vaccines are living virus that has been modified so that the virus is replicating and moving through the body like a real infection would, but is modified in a way so it won’t cause an actual infection. This provides a more accurate and better immune response than just using dead virus, but occasionally these vaccines can result in a real infection (such as dogs who get kennel cough signs after getting a Bordetella vaccine). Some vaccines, like Rabies, are not worth the risk so they are always “killed” virus. Which vaccine and what has been studied in lab trials determines how often a vaccine needs to be boostered or how often it needs to be repeated in an adult animal to be effective. Nature has devised a way to help protect infant puppies and kittens while they’re in their most vulnerable and youngest stages. Mom produces special milk, called colostrum, that contains HER antibodies that her body has already trained to recognize certain diseases and fight them. 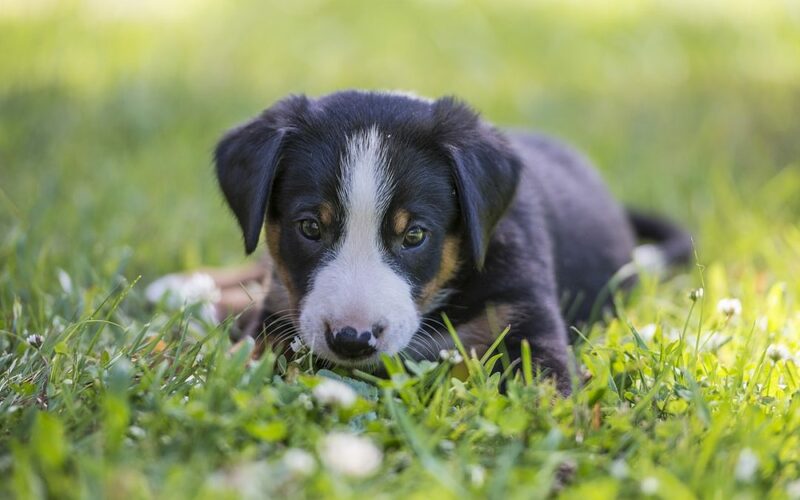 This doesn’t teach the puppy or kitten’s immune system anything, but it DOES mean those antibodies are circulating and will be the first to react if they are exposed to a pathogen (such as Parvovirus). This is good and bad for us. On the one hand, it helps protect very young puppies and kittens. On the other, it means that as long as those antibodies are circulating, our vaccines WON’T WORK. The puppy needs to produce its OWN antibodies, and if Mom’s antibodies are doing all the work blocking the vaccine, then the puppy’s immune system won’t be stimulated until Mom’s antibodies wear off. We can never know how much colostrum Mom produced, or how much an individual puppy or kitten ingested when they were first born. We DO know that no matter how much they got, it should wear off around 16 weeks. This is why 16 weeks is so important. We need to give the vaccines regularly to protect the puppy if the maternal antibodies wear off early, and continue giving them until we know that maternal immunity has worn off to know our vaccines are actually being effective. This is why there’s no set rule saying “puppies need 3 DHPP boosters” or “kittens need 2 FVRCP boosters.” If you give the vaccine 10 times before a puppy is 8 weeks old, Mom’s immunity is still blocking all response and the puppy isn’t actually protected at all. (Plus the immune system needs about 3-4 weeks to regroup after each vaccine).This why we still give several vaccines even if the puppy or kitten has had one or two from the breeder when they were young. On the other side of things, we can’t just wait until everyone is 16 weeks old to start vaccinating because this would leave those who’s maternal antibodies wore off early completely unprotected. With deadly diseases like Distemper, Parvovirus, or Feline Leukemia – this isn’t a risk worth taking! Ultimately, the most important thing to remember is 16 weeks is what matters the most, NOT how many boosters a puppy or kitten has had up until then! DHPP or DAPP: Distemper, Hepatitis (caused by an Adenovirus), Parvovirus, and Parainfluenza. Leptospirosis: A bacteria that lives in water and comes from urine (raccoons, squirrels, rats etc). It causes liver and kidney failure. Rabies: Everyone should know this one! Side note – Corona Virus Vaccine: This vaccine has been shown to be useless (ineffective) and the disease is so mild and widespread there’s no point to giving it. This is why we don’t carry it but you’ll see it on some breeder records. FeLV: Feline Leukemia Virus – This is recommended for all kittens but can be discontinued in adult cats who don’t go outdoors. Sidenote – FIV: Feline Immunodeficiency Virus (the feline version of HIV). This vaccine has been shown to not be very effective, AND it causes cats who are vaccinated to come up POSITIVE on an FIV test (even if they don’t have it!) This can lead to a cat being picked up by a shelter and euthanized, which is why most of the veterinary community has gone away from this vaccine. We hope this has helped demystify the vaccine process for your new furry family member! If you have any questions or need to schedule your puppy or kitten’s vaccines, call us at 503-648-1643 or click here to book. For even more detailed information, Veterinary Partner has a good handout on vaccines and why puppy and kitten vaccines need to be given so often.